Imagine being the first driver in the first car plowing through rural Germany in 1888. No manual or AAA. Just open air, fearlessness, and - true story – a garter to make any urgent repairs. To celebrate a culture of firsts and the 130th anniversary of the first drive, Mercedes Benz and R/GA created “The First Driver,” a film about little known heroine, automotive pioneer Bertha Benz. 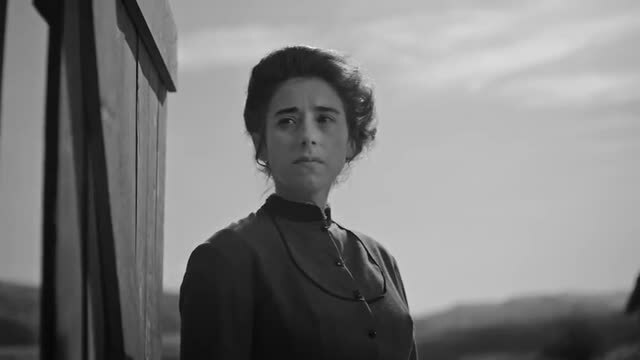 The film, released on Mercedes Benz’s social channels, not only tells the story of the first car, but the powerful woman behind it. Directed by the team of Ahsen Nadeem and Matt H. Mayes, “The First Driver” tells the story of how Bertha Benz, wife of automobile inventor and eventual Mercedes Benz founder, Karl Benz, challenged popular opinion of what was possible to trek over 60 miles across Germany in an impromptu roadshow to showcase the automobile. The piece was shot in black and white to evoke the nostalgia and emotion of this brave journey. Billed as being the first ever cinematic production to live on Instagram TV, this piece is also Mercedes Benz USA’s debut on the social platform’s newest content channel. Bertha Benz’s drive singlehandedly kickstarted the auto industry, her feedback from the trek improving the design and development of later Benz models and shaping vehicle production en masse. In partnership with production company Normal Content, R/GA and Mercedes Benz created this film to celebrate the automaker’s innovative legacy. Client Mercedes-Benz Agency R/GA Joanna Crean, Tal Shub, Emily Stetzer, Nick Pringle, creatives; Natalie Webb, strategy; Ben Hassey, Pete Taft, Tatiana Spiegel, Joe Gagliardi, production. Production Normal Content Ahsen Nadeem, Matt H. Mayes, directors; David Straigmeister, DP; Molly Ortiz, line production; Justin Brooks, production manager; Lena Lollis, costume designer; Vlad Aksenov, production design; Jennifer Quinteros, Jennifer Cabezas, Allia Arite, make-up & hair. Editorial Yixia Li, editor. Music Matija Strnisa, composer. Postproduction Bossi Baker, colorist. Performers Elizabeth Abrams as Bertha Benz; Will Block as Eugen Benz; Hunter Fischer as Richard Benz.